Nothing beats cheesecake for dessert any time of the year. 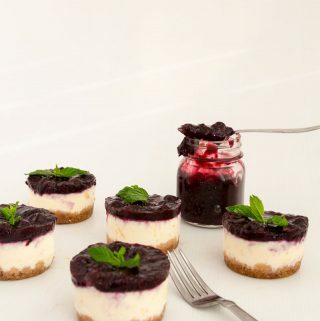 This simple, easy and effortless recipe for mini blueberry cheesecakes is perfect for entertaining or when you need the mini versions of the classic. A custard-based cheese batter baked to perfection then topped with luxurious blueberry filling is a perfect mini treat at the end of any meal. 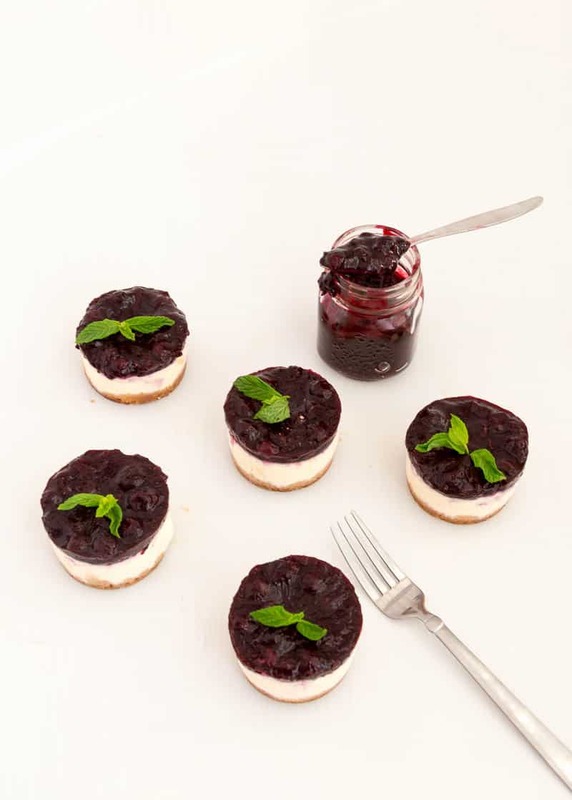 Don’t you think mini cheesecakes are the cutest ever!! 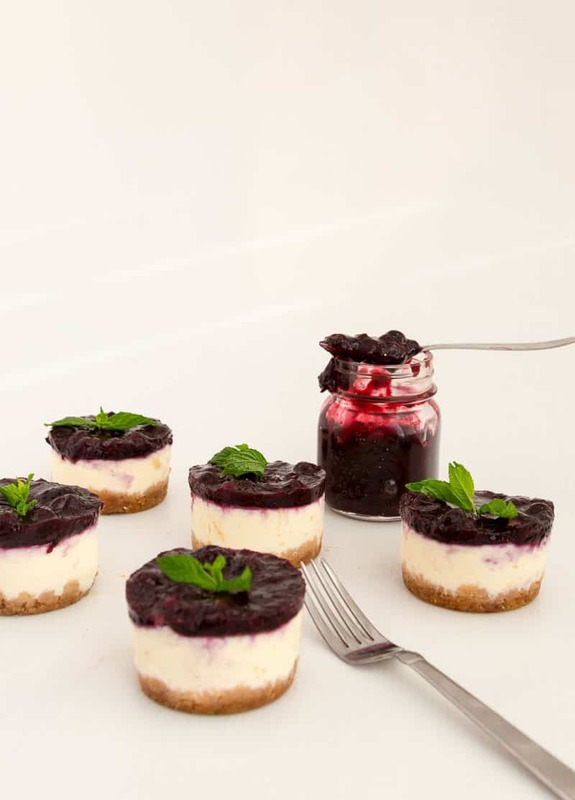 I love making bite-size desserts like mini tarts and mini cheesecakes. These are perfect crowd pleasers and a lot less hassle when entertaining. 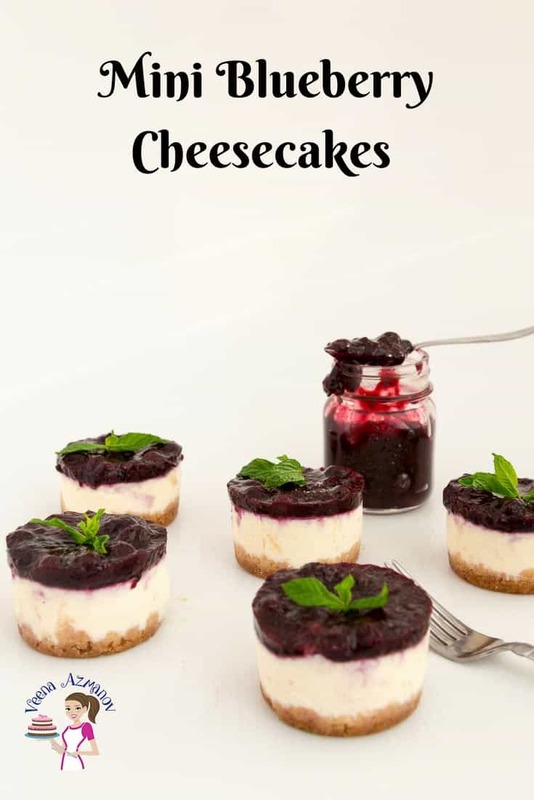 At a party you already have so much to take care of so slicing and serving a large cheesecake is one less work to do with these mini cheesecakes. My kids love blueberries in everything, and my blueberry filling is to die for. So versatile, we use it on pancakes, cheesecakes, ice creams and good old whipped cream. To me, fruit fillings are the ultimate luxury and I love adding a good blueberry filing in my cake as a filling. 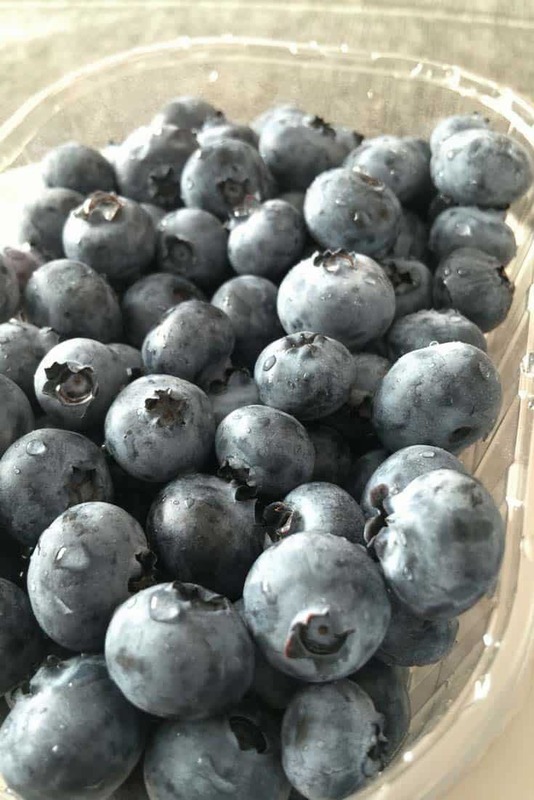 Blueberries – I prefer using frozen fruits (blueberries) when making fillings. Frozen fruits tend to break down easily making the fruit soft and almost melt in the mouth. Fresh fruit usually tends to hold their shape better and take a little longer to soften. Having said that there ain’t nothing like fresh fruits so definitely use fresh when you have them in season. Crackers/Biscuits – graham crackers usually is very commonly used but to me, it’s about what you like to eat. As long as you love the crackers and biscuits to eat, you should be able to use them. Lemon juice – really brings out the flavor of all the rest of the ingredients and cuts down the sweetness. Lightly spray 6 silicon molds or removable bottom muffin pan. Alternatively, use cupcake liners in a regular muffin pan. Use a whisk to combine everything well. Heat on low to medium until sugar is dissolved. The blueberries will look full with juice. Top the pan so the blueberry spreads evenly. Lightly spray 6 silicon molds or removable bottom muffin pan. Alternatively, use cupcake liners in a regular muffin pan. These look absolutely fabulous. I always loved blueberry and cheesecake combo. What a flavors, right? Too good to say no. I can’t wait to make this for my friends. 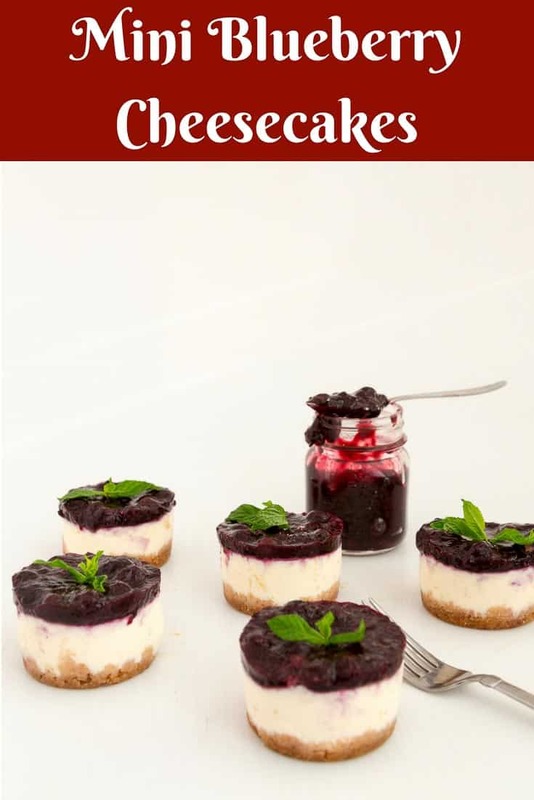 These are best mini cheesecake, blueberries in cheesecake never goes wrong. I need to try it as fresh blueberries are available in store. I wish I had one of these for dessert tonight. Another beautiful dessert, Veena! 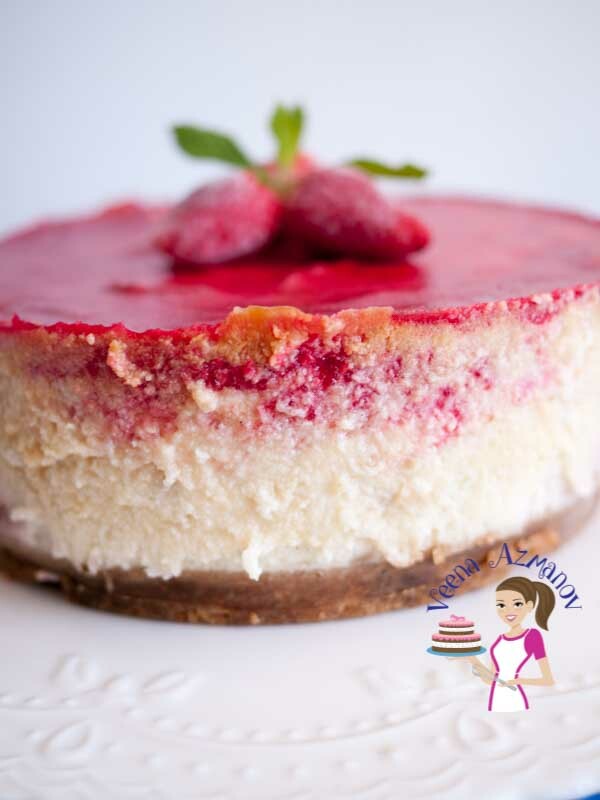 I know this would be a hit in my household…everyone loves cheesecake here! Thank you, Catherine. 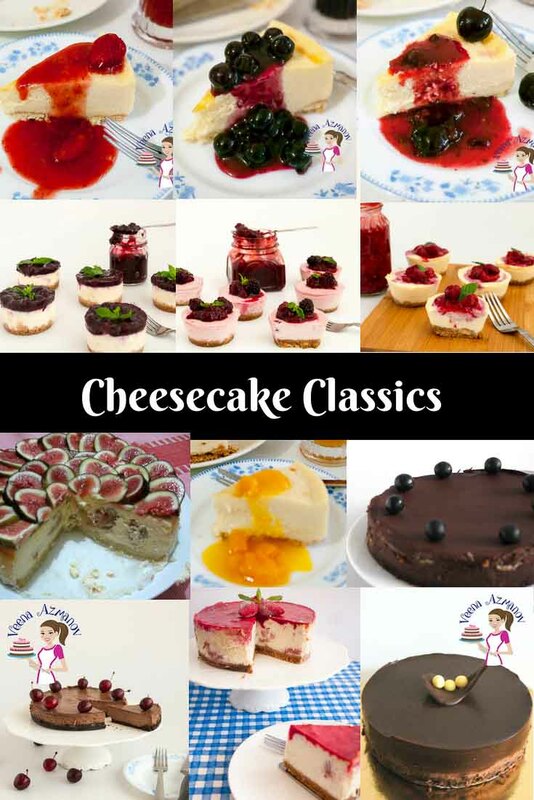 So true, everyone loves cheesecakes. Thank you, Karyn. Glad you agree. Not using good ingredients is like a wasting all your hard work to make a dessert. I love blueberries and cheesecake. What a great little dessert. Perfect for BBQ parties this summer. Love the presentation…..and I can just imagine how wonderful these would taste too. So beautiful…and perfect for summer parties! Thank you, Adriana. 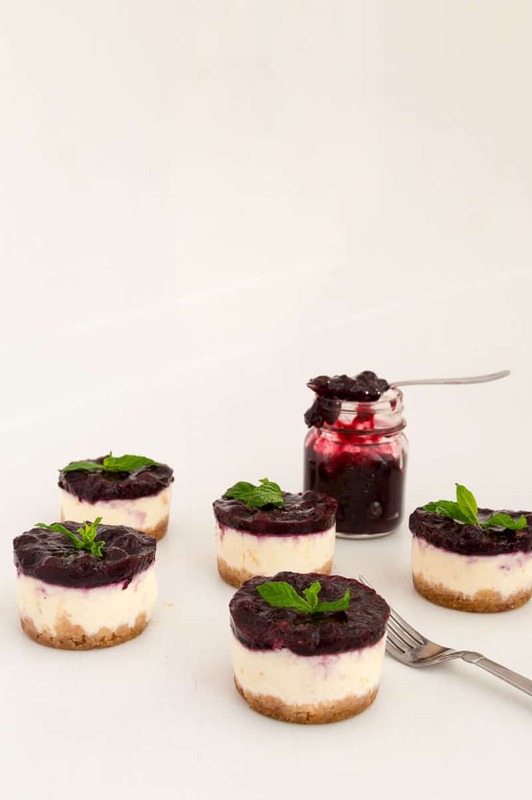 Yes, these mini desserts are perfect individual servings for parties. Thank you, Claudia. I am so happy to hear you will be trying these soon.